Have you been looking for a complete list of current digital marketing events happening this year? Look no further. Whether you’re interested in speaking, attending or sponsoring an event; this list is sure to cater to whatever type of digital marketing conference you’re looking for. With every new year, we add new events; growing our list to over 350 of the greatest events in the industry! 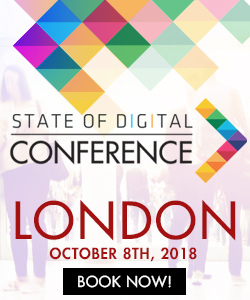 State of Digital is a proud sponsor of UnGagged London 2019! The Ultimate Events List from @stateofdigital is back. It’s bigger than ever! Over 350 events! wow, what a big events. Btw, thanks for the list. Nice list! By the way Cross-Functional Marketing Conference is in Athens, GA in the US not Greece. Thanks for sharing.Wow! 2017 already looks quite promising. Thanks! Please enter any suggestions here, we’ll update the list often! Again, we would love for suggestions to go here: https://www.stateofdigital.com/submit-your-event/ Otherwise it’s impossible to keep up with everything. Thanks! Amazing to know! i have been hoping to discover a list like this for ages!! Very nice resource, Bas – thanks to you and your team! 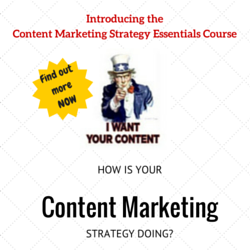 I’ve added it to a couple of my sites. Loved this list! So helpful! It will be taking place on December 6th, 2017. Feel free to browse our website and learn more about the conference. We’s love to see you and your readers in the conference! Next Case is also a great opportunity to visit Israel – an interesting country with plenty to see and experience. Wow, that’s a great list!, However you forgot to mention Brands and Domains. It will take place from 2-3 of October in The Hague, Netherlands, and it is the only event of its kind! We will have some great speakers such as Akram Atallah, Deputy CEO and President, Global Domains Division of ICANN and Georges Edouard Dias, CEO of Quantstreams and ex Chief Digital Officer of l’Oreal. We will also exclusively share the results of an SEO contest run by web agencies, and will also involve universities and researchers. To learn more you can check http://www.brandsand.domains, and for more info, write to [email protected]! See you in the Netherlands! besides “emarketing-Egypt” company is getting ready for launching it’s 8th annual report Digital Marketing Insights in Egypt 2017 in which marketers can find indicators for “Online Consumer Research” to build their annual digital marketing plan for 2018 efficiently. And for the first time in Egypt, emarketing-Egypt company conducted a “Digital Marketing Benchmarks – Companies Practices” study, covering 450+ companies across different sectors and sizes .